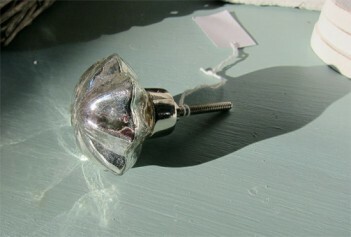 A silver coloured glass knob in a fluted design ideal for drawers and cupboards. 5 cm wide, 4 cm depth. The screw section is 3.5 cm long.